When you bring balloons to your event, you also bring smiles, happiness, and good memories. We bring the magic touch to your event with AMAZING Balloon designs. We enjoy bringing your decorating dreams to life. Let our design professionals build magical creations to amaze the guests at your next event! 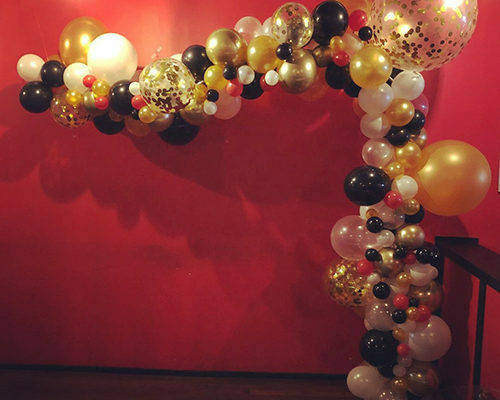 Balloon Arches are great for defining areas such as entry ways, buffet tables, and photo settings for any wedding, birthday, anniversary, or corporate event. Designs range from Luxurious Garland Arches, Elegant String of Pearl Arches, and Festive Linked Arches. 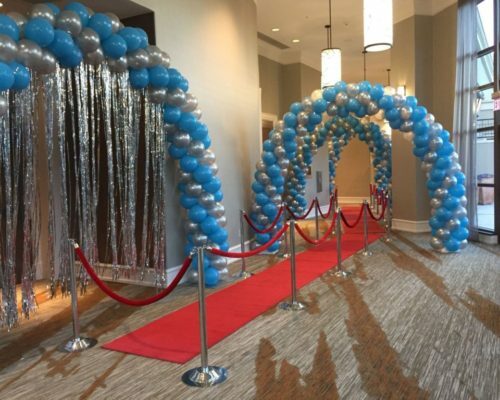 Transform your events with our balloon decorations or ask us about our balloon delivery. 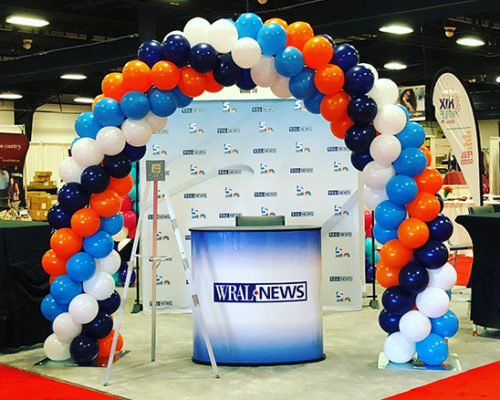 Balloon Columns are one of the best ways to highlight any event. 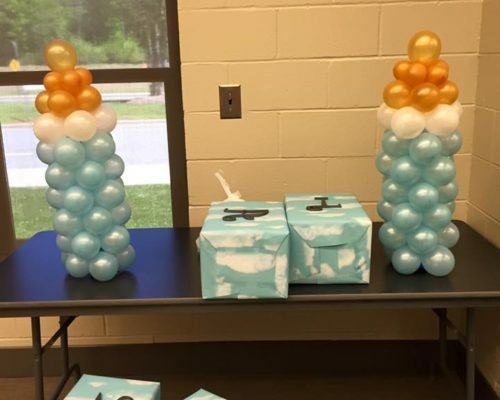 They can be topped with a bigger latex balloon or a giant foil shape balloon. 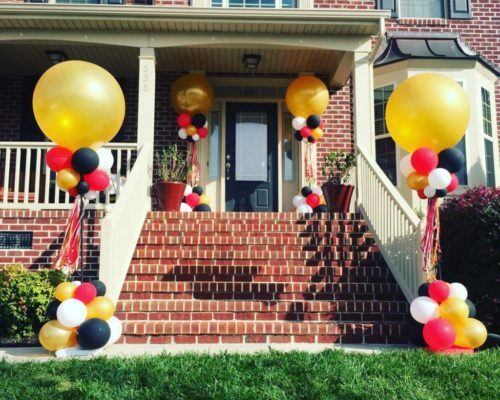 We have different styles and sizes of balloon columns to fit your budget. You can decorate with a pair of columns at the entrance to your event or with four columns you can define the dance floor. 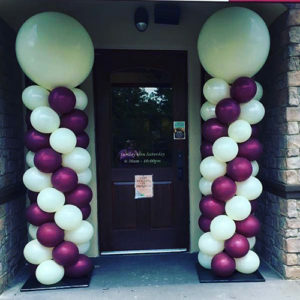 Create a distinctive impression for you event with centerpieces and balloon bouquets! 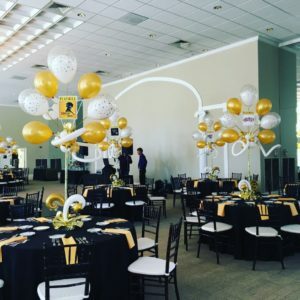 From whimsical tabletop balloon decorations to elegant designs that transform your event, you can choose among a large variety of foil or latex balloons. Celebrate your special event with themed balloon bouquets. 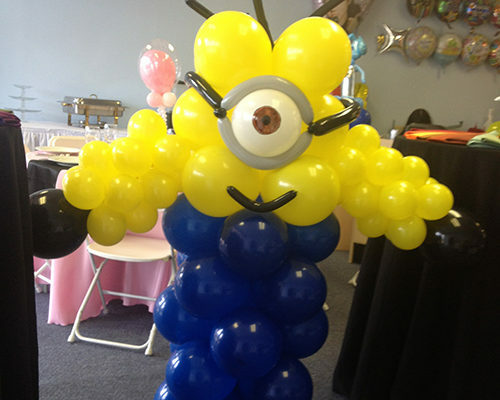 We are a company dedicated to the pursuit of excellence in balloon décor and continue to learn the art. 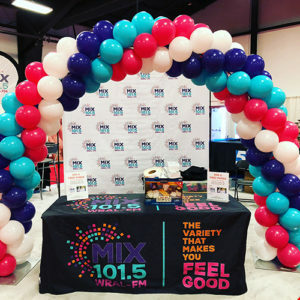 We believe that balloons create atmosphere and communicate emotion in a uniquely effective way. 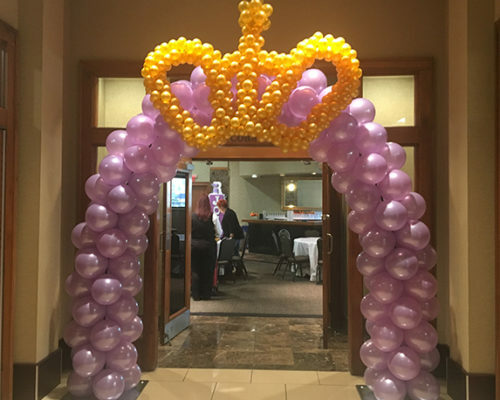 Creating Amazing Balloon Decorations in Durham, Raleigh, Chapel Hill, Hillsborough, Burlington, Morrisville, Fuquay-Varina, Clayton, Wake Forest, Garner, Rolesville, Smithfield and surrounding areas. In some cases, we travel outside of our regular delivery area for event decorations. Contact us to learn more. We are proud members of the Qualatex Balloon Network.